A forest. In the forest, a sign reading "Bear Park". Also in said forest, Apple CEO Tim Cook, dressed as a hunter and carrying a rifle. Walking behind Cook, I was asked to draw three different model iphones (also dressed as hunters carrying rifles). A bear was to be grabbing the iphone bringing up the rear. 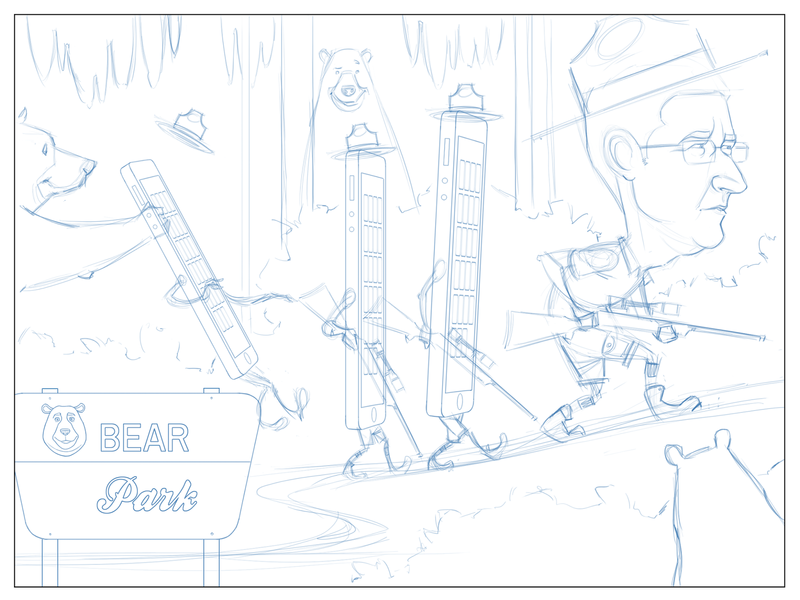 In the surrounding woods, I was asked to include other bears hiding and looking at the hunting party. This was a fun comic to draw, but MAN, was it a lot of work. Like last week, this one took me 12+ hours to finish. There are a lot of characters and a lot of detail. Tough but fun. 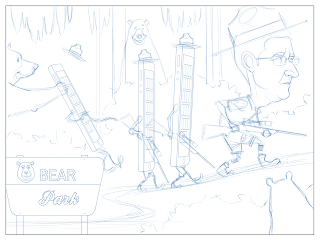 I always enjoy drawing bears. 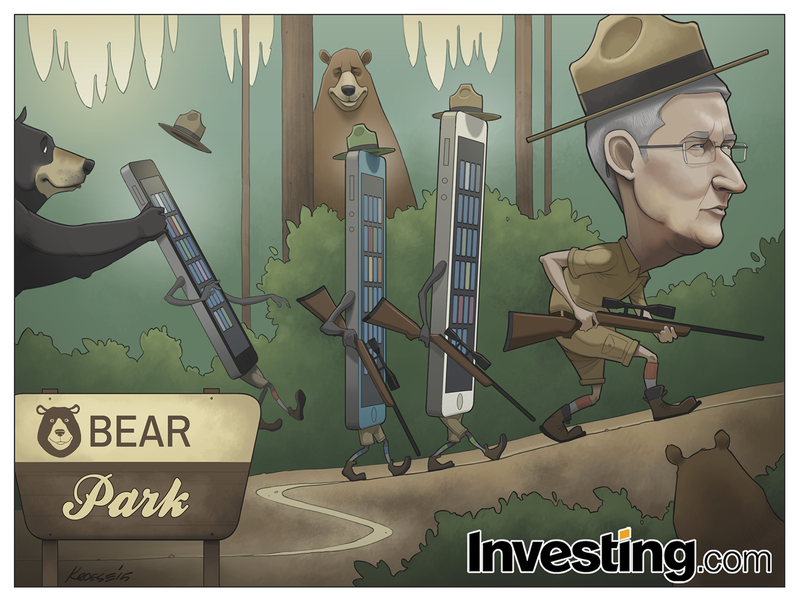 And drawing Tim Cook in safari attire was fun, too. Overall, I think it turned out pretty well. I also think this comic serves as an important public service announcement, as bears can be very dangerous. And some will steal your picinic baskets. Lindy's Sports Annual 2015: Basketball!